A cactus (plural: Cacti) is a type of succulent plant that belongs to the plant family, Cactaceae. This is known as the largest family of plants with over 2,000 species which are indigenous to America. Several species of cactus are widely found in North America, South America and Central America. The fact behind their characteristic looks is their tendency to preserve water in their stems in hot, dry weather conditions. Due to this very feature, cacti have been able to adapt themselves well to the desert conditions. Cacti are known to be flowering plants, which are a great source of food and shelter for many other living species in the hot climatic conditions of deserts. For example, these are a good source of shelter for several birds, reptiles and animals and if we talk about desert tortoise, it feeds on the stems and fruits of cactus. Cactus is also cultivated by human beings all over the world as it is one of huge business prospect in America. It is sold as an ornamental plant which people grow in their gardens or houses. This is not the end, cactus is used in several consumer products such as jam, cosmetics etc. The species of cactus plant, which contribute the same physical characteristic of having a barrel shape, are often given the name of Barrel Cactus. The most apt example of this type is California Carrel Cactus (Ferocactus cylindraceus) found in Southwest desert. The barrel cacti are often grew up to the height of 4 to 10 feet. The beavertail cactus (Opuntia basilaris) is given the name because of its resemblance to beaver’s tail. This cactus shares the same family as that of Prickly pear cactus. Beavertail cacti grow in clusters which grow to the height of 1 to 2 feet. These cacti grow in sandy soils of Southwest desert. Instead of having spines on their leaves, these cacti have small hair like features called glochids, which are as sharp as spine. Cholla is the uniform name used for thirty different species of cacti that belong to the Cylindropuntia group. These species are indigenous to the Southwest desert from west Texas to California. These cacti are thin, and round. Different species have different color of flowers such as buckhorn cholla flower (Cylindropuntia acanthocarpa) has red stamen, while silver cholla is known for its light-colored foliage and greenish-yellow stamen. Cholla cacti are remarkable landscaping plants and most of the resident birds like Cactus Wren prefer the tallest species to make their nest. Claret cup cacti (Cylindropuntia acanthocarpa) are given this name because of having attractive and gorgeous red, cup shaped flowers. These are native to southern area of the desert southwest from California to Texas. Claret up cactus is a type of hedgehog cactus which is widely used as a landscaping plant. Spines of the fishhook cactus are very similar to that of fishhook that is why they are called fishhook cactus. They are also referred to as pincushions because of the fact that they develop in clusters close to the ground which give them the look of pincushions. 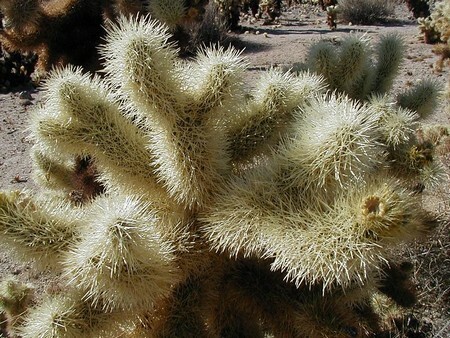 These are commonly found in deserts and also on hillsides of California and Arizona. They normally sprout in the early spring. Candy cane cactus (Mammillaria dioica) is an apt example of fishhook cactus plant. Hedgehog cactus is a collective term used for the species of cactus which develop in clumps of short cylindrical stems. Hedgehog cactus is the name given to thirty different species that belong to the Exhniocereus group. They are found in western states. These are very popular among the gardeners because of their short size and colorful attractive flowers. Golden Hedgehog (Echinocereus nicholii) is a good example of this type which is widely available in Arizona and has pink flowers. Ocotillo Cactus (Fouquieria splendens) is native to Southwest desert from California to Texas. This cactus produces some cane-like branches and that too in clumps. These cacti are taller with an average height of over twenty five feet. The flowers of these cacti are red in color. In the time of excessive rains, leaves appear on their branches. Ocotillo cacti can grow on sandy soils of deserts or on hillsides. The flowers of these cacti are a major source of nectar for hummingbirds. 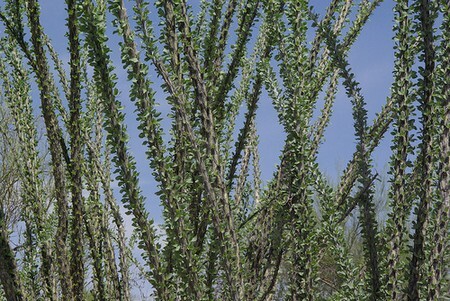 Ocotillo cactus is perfect for home gardens. Organ pipe cactus gets their name for the fact that it grows in clumps like large ribs which are suggestive of organ pipes. Organ pipe cactus is indigenous to the Sonoran Desert in North America, extended to the Mexican border and Southern Arizona, which are considered as the home to the Organ Pipe Cactus National Monument. An important characteristic of these cactus plants is that they sprout at night and hence, bats are the major source of their pollination. Pincushions cactus is a collective name for several different species of cactus. These are known to be good adaptable plants. These are small, round plants along with tiny spines. As the picture above shows, they are commonly characterized as small round plants with small spines, looking as if someone were sticking pins in a cushion. However, the adaptability of the plants is not always brought advantages to species. For instance, the Cochise Pincushion Cactus is native to the Sonoran Desert which is famous for limestone. Due to this reason, the cactus was declared as the most endangered species in the Arizona in 1986. There are certain other factors like prolonged drought often has an adverse effect on these species. Prickly pear cactus is a plant with round flat stem. It produces fruiting flowers. This cactus belongs to the genus of cacti native to United States of which 24 species are known yet. Some of the species of prickly pear cactus are capable of resisting the colder conditions and pretty much adaptable. In United States, the U.S. Forest Service declares that this plant is indigenous to thirty five different states. It is known as one of the largest and tallest species of the cacti found in the United States. Its Monster type can grow as tall as to sixty feet. These cacti are indigenous to the Sonoran Desert, especially in southern Arizona and Northern Mexico. Another important feature of this cactus plant is its resemblance to human shape. As the plant matures out, the arm segments shoot out of the stem. 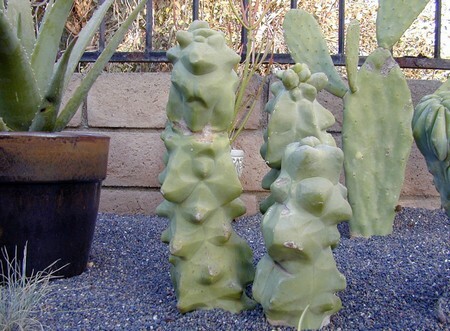 Totem Pole Cactus (schottii f. monstrosus) is known for its giant size. 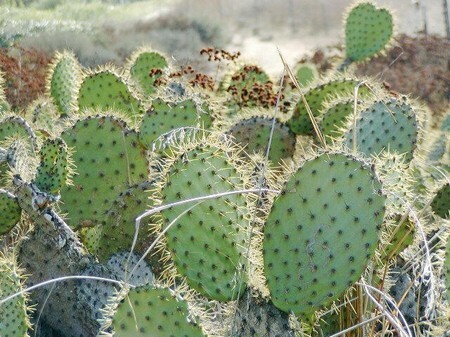 It is usually tall, spineless columnar cactus grow in clumps which is indigenous to Baja. It is commonly used in home gardens in the southern parts of the Southwest Desert. Cacti or cactuses belong to the family of Cactaceae. There are above 2,000 known species of cacti and all are native to America. These are found in North, South and Central America. Cactus is the most popular desert plant. They grow well in dry conditions and often store water in their stem to cope with hot dry conditions.